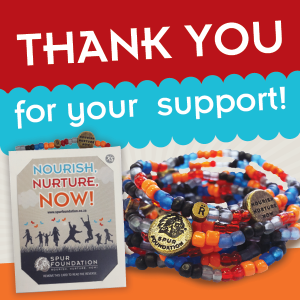 A heartfelt thank you to the 55,000 people who have joined the movement for change by supporting the Spur Foundation Relate Bracelet campaign. It is with your help that we are able to change the lives of many vulnerable children and families across South Africa. The funds raised will also go towards a very exciting new franchise model, which will create opportunities for township communities. 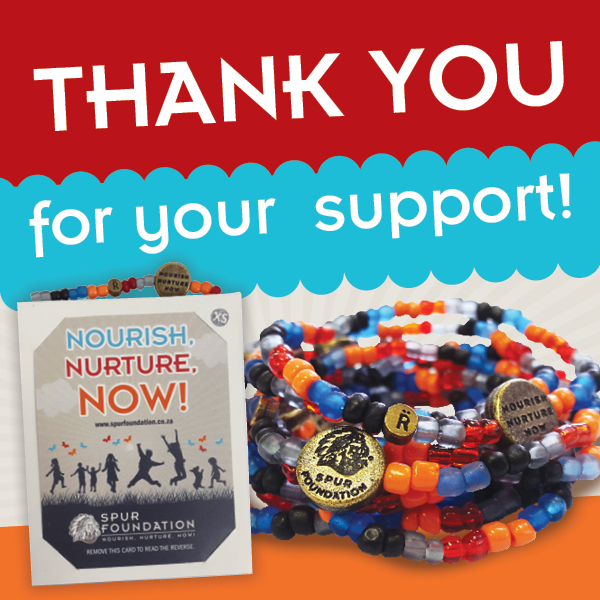 Help us reach our goal of 67,000 bracelets and get yours for only R30 from your nearest Spur Steak Ranches, Panarottis or John Dory’s restaurant. While stocks last.